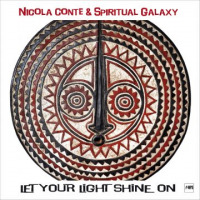 Light is the first album by internationally-renown Italian DJ, composer, guitarist, bandleader and producer Nicola Conte for Germany's esteemed jazz label MPS Records. "For me, when it comes to European labels, MPS has always been leading the way," Conte explains. 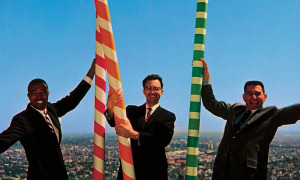 "'Jazz Meets the World on MPS,' that was their motto. It wasn't about exploiting trends, it was about genuine artistic expression." 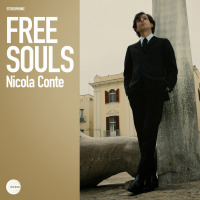 Recorded in Conte's hometown of Bari (Italy) and in Johannesburg (South Africa), Light orbits around Conte's Spiritual Galaxy, a truly global ensemble comprising musicians from Italy, Sweden, and Finland, joined on this recording by soloists Theo Croker (trumpet) and Logan Richardson (alto sax) from the US, and British singer Zara McFarlane, with several local musicians jumping into the Johannesburg sessions. This colorfully talented troupe shines their collective Light on American, African, European and intergalactic soul, weaving instrumental and vocal threads into a powerfully peaceful state of music and mind. 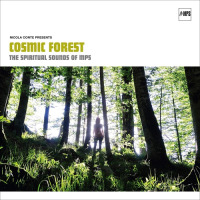 "You could call it spiritual or cosmic Afro-jazz. I could also agree with calling it Afro-soul," Conte suggests. 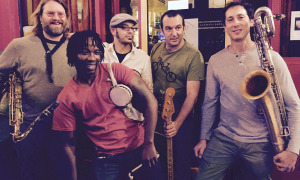 The opening "Uhuru Na Umoja" and subsequent traditional "Ogun" quickly demonstrates this band's Western dexterity with African culture, as their keyboards, guitars, bass and drums all link up and lock down with the vocals in masterful design. An instrumental "Mystic Revelation of the Gods" percolates Afro-beat like rich, dark, steaming hot coffee: Flute flutters above like a songbird overseeing the ensemble horns, which keep pinwheeling around the drummer's circular rhythm, which echoes drummer Michael Shrieve's jazz drum sound in Santana's Latin-rock context. "Space Dimensions" opens up a window into the musical alternative universe of Sun Ra: As the breathless female vocal drifts in and out like floating clouds, the spacy lyrics naturally connect Sade with Sun Ra through the music's structure and lush production and nurture an organic flower of truly global and truly beautiful music. The follow-on two-minute drum jam "Tribes from the Unknown" extend Spiritual Galaxy's connection to Sun Ra's Arkestra. And oh this title track: A limber groove simply but soulfully repeating the refrain, "Let your light shine on...Let us live in peace..." There is something genuinely yet indescribably beautiful about this musicthe words, the instrumentation, and the vocals. Even the best writing/words couldn't do this one justice. Please just listen. "We are connected by a higher force," Conte mused upon this set's release. "I don't want to sound like a hippie, but perhaps the light comes out of the universe. At the same time, it also comes out of ourselves." It's a question that inevitably finds every serious music listener: What do you listen to when you don't know what you want to listen to, other than you want to listen to "something different"? Howzabout Dialeto: Live with David Cross the next time this mood finds you? Is a set that simultaneously honors one of Eastern Europe's legendary musicologists and classical composers AND one of Western Europe's legendary progressive rock fusion ensembles, powerfully rendered by a hard-hitting power trio from Brazil, "different" enough? 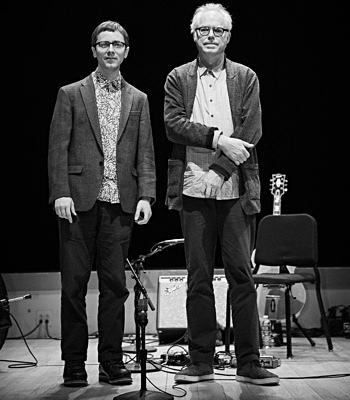 As Dialeto, Nelson Coelho (guitars), Fred Barley (drums and vocals) and Gabriel Costa (bass and vocals) performed this concert in São Paulo to promote their conceptual piece Bartók in Rock (2017, Chromatic Music), a tribute to Bela Bartók, one of the greatest experts in Eastern Europe musical folklore and one of Hungary's greatest classical composers. 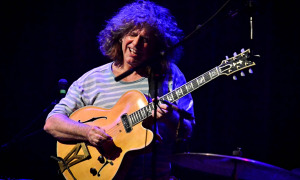 British violinist and vocalist David Cross joins the trio after eight Bartok pieces; Cross's tenure in King Crimson coincided with one of its most fertile periods, from 1973's Larks' Tongues in Aspic through that band's live finale USA released in 1975, and he brings to Dialeto's stage many of that era's iconic Crimson compositions. Dialeto cranks up the rock 'n' roll energy in "Folk Dance 2: Peasant Costume" in their survey of Bartok's "Roumanian Folk Dance" and "Mikrokosmos" songbooks, while Cross' violin introduces the first intimations of King Crimson in "Mikrokosmos 113-Bulgarian Rhythm I" when his electronic violin and Coelho's electric guitar melt into a singular sheet of electronic sound. Heavy-footed and dark, "The Young Bride-For Children Vol. 1 No. 17" sounds like something more for the Young Bride of Frankenstein, a genuine talisman of Brazilian-European macabre. 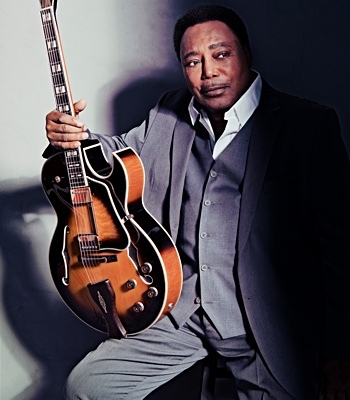 Cross' version of KC's "Exiles" is an extended reminder of the musical heft and power of this generation Crimson as his elegiac, restless violin sings out the wordless groans of a heart broken in interpersonal exile. Both "The Talking Drum" and "Larks' Tongues in Aspic Part 2" are mostly improvisations played so furiously that they venture into the demonicthey're simply scary good. 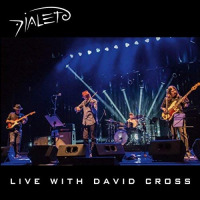 Music rarely gets more arts-y, rock-y, or live-ly, than Dialeto: Live with David Cross; the first-rate primer into one of the most important and influential progressive rock bands in the genre's history seems like a bonus. 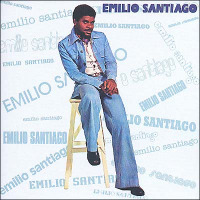 In 1975, vocalist Emilio Santiago was riding high as "The Nat "King" Cole of Brazil" and recording this eponymous full-length debut with some of that verdant musical nation's leading jazz composers and instrumentalists, including Joao Donato (keyboards), Danilo Caymmi (flute), Wilson das Neves (drums) and Victor Assis Brasil (saxophone). The four decades which have since passed have not tarnished this debut's warm and mellow glow. In the opening "Bananeira" (jointly composed by Donato and Gilberto Gil), the sheer sound of Santiago's mellow voicewarm and rich and dark as gourmet coffeeimmediately suggests Brazil. 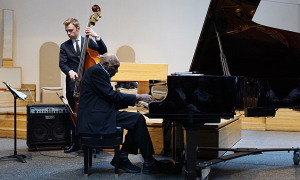 He delivers some notes so softly that, like butterfly wings, they seem to barely disturb the air, and swings other notes with such grace that they land near the jazz end of Nat King Cole's smooth style. He sings the lines to "Quero Alegria" so subtly that they sound almost spoken, and the gorgeous arrangement pulls in strings to dance at the end of each line, and then wrap up and close around them like a sleeping flower. 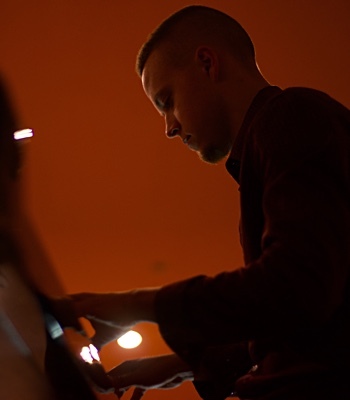 It's not difficult to imagine Cole and Santiago dueting through the elegantly orchestrated pop of "Depois." 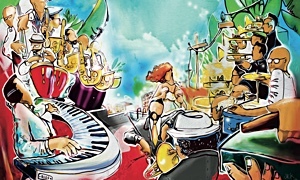 Afro-Cuban percussion and Latin jazz piano pop right up to kick out "La Mulata" as a chic little cha-cha, a rhythmic bounce continued in "Nega Dina," which strongly foreshadows contemporary Brazilian jazzsters Bossacucanova. The only English lyric of the set, "Brother" rumbles on a swaying, R&B horn chart to wonder and sing about universal love, unity, and the friendship of one very special soul brother. Emilio Santiago saves its two most extended pieces for last. "Doa A Quem Doer" radiates a sunny glow and optimistic sense of summer that your ears can once again easily imagine Cole swinging through. "Sessão Das Dez" reflects the face of Antonio Carlos Jobim's lushly romantic "Bonita." 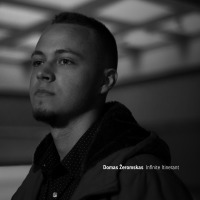 It opens with quiet acoustic guitar and voice, and the absence of bass or drums allows these opening verses to feel like they're floating; then, piano, saxophone and guitar slowly convene and hover around Santiago's voice like whispering ghosts, before the rhythm section and pianist walk out the ending in a bluesy jazz stroll. The short playing time of this set makes it no less sweet. Jonathan Goldman sure seems like one interesting dude. An Associate Professor at New York Institute of Technology, Goldman edited the seminal study Joyce and the Law (2017, University of Florida Press) and leads one of the most famous reading groups for one of Joyce's most infamous works, Ulysses. And as lead trumpet and bandleader for New York's own Spanglish Fly, he's one of the world's leading proponents of the irresistibly liberating rhythms, sounds and beats of Latin soul and boogaloo. 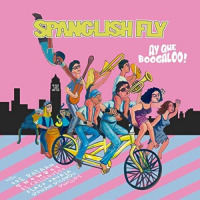 A musical polyglot from Argentina, Columbia, Ecuador, Japan, Puerto Rico, Upper Manhattan and Venezuela, Spanglish Fly sort of congealed around Goldman's club DJ alter-ego Johnny Semi-Colon around 2009, when Goldman began noticing that his DJ gigs often shifted into a riotous higher gear when he played classic Latin boogaloo jams by Mongo Santamaria, Joe Cuba, Joe Battan and the like. Ay Que Boogaloo! realizes one of its leader's most longstanding musical dreams. "When I started the band a zillion years ago, I planned to have two women lead singers, inspired by records by Ray Terrace, The Latin Blues Band, and Joey Pastrana," Goldman explains. "That plan fell by the wayside, but was finally revived with Mariella Gonzalez and Paloma Muñoz, who work together beautifully." Gonzalez inhabits "You Know I'm No Good" with a full-blooded vocal that takes over Amy Winehouse's original, a burning wound of pain, regret, longing, frustration, and contempt, like an all-consuming spirit. Listening to the first slow section, you get the feeling that the band is struggling to hold itself backand then her long throaty final note rips away the dam, and the band launches into its incendiary second movement "Chica Mala Mambo," an incredible hailstorm of percussion, vocals and piano with a saxophone solo that scrapes against the ceiling and leaves the singer to lay weeping on the floor. Battan hops on the B-train ("talking to you from way back") for "New York Rules," a sweet boogaloo shuffle about how New Yorkers can take pretty much anything in stride which the ensemble cleverly ties up in the famous riff from "Take the 'A' Train," Billy Strayhorn's signature tune for The Duke Ellington Orchestra. 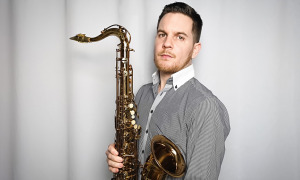 British conguero Mark "Snowboy" Cotgrove joins in the group's complete obliteration of Aretha Franklin's famous declaration of independence "Chain of Fools" in a Latin big band instrumental. 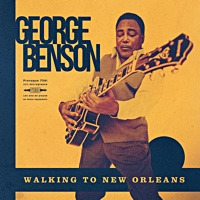 The arrangement harmonizes the horns into one tangy and sharp sound that "sings" the chorus in harmony as bassist Rafael Gomez thumps out James Brown monsterfunk behind them. Goldman's trumpet wails out the first verse hard and hot, the best instrumental playing of the entire set...until the band cuts Snowboy loose for a solo break so incendiary that it burns through your ears like one long percussive blur. It is simply incredible. "Ojalá-Inshallah" picks out the Middle Eastern threads in the Afro-Cuban Latin jazz diaspore"the Arabic roots of Latinos, framed in a son montuno," suggests annotator Bobby Sanabriawith vocals suggesting the sound of communal prayer at Mecca. 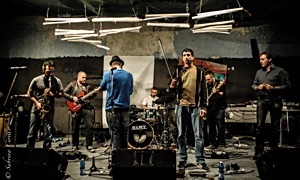 Just as importantly, "Ojalá-Inshallah" triumphantly realizes Goldman's vision for Spanglish Fly: "A multi-ethnic, multi-gender, multi-national, multi-generational group (was) recording an album of Afro-Caribbean music with lyrics in Spanish and English (and a bit of French and Arabic)." 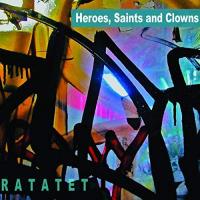 Ratatet, the sextet led by drummer Alan Hall, doesn't seem to quite fit into a musical box of any style or shape. 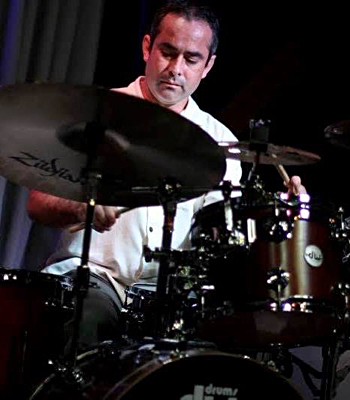 One of the San Francisco Bay area's most respected musical performers and educators, Hall assembled this uniquely constructed ensemble from fragments of previous engagements: He previously played in a trio called Electreo with Paul Hanson (here on tenor sax and bassoon, acoustic and with electronic treatments) and Jeff Denson (on fretless electric and double acoustic bass). 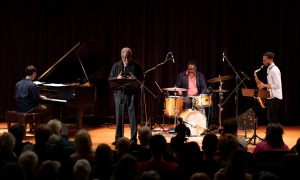 Hall and trombonist John Gove played in a Latin band together; the drummer began recruiting Dillon Vado (vibes and percussion) to join the band from the time Vado was a student at the California Jazz Conservatory; and another Bay area musician, Greg Sankovich, completes the sextet with piano and keyboards. For Heroes, Saints and Clowns, Joseph Herbert sits in on cello, as does the legendary Paul McCandless of Oregon on English horn and oboe, helping to create a fully textured yet reflective sound. "This music is informed by what I see in the news, the violence, the police, the politics," Hall explains. So it opens with a "Demographic Shift," introduced through a marching procession led by the One Planet Drum Corps before the prominence of Vado's vibes in its stutter-step yet bouncy jazz melody sounds like Ruth Underwood flipping through different melodies in GrandMothers of Invention songbook. "A Short Poem for a Shattered Age" casts acoustic piano and shimmering cymbals in a lovely, warm sound that seems to genuinely welcome the cello, saxophone, and other instruments, in a reverent song that may well be a prayer. It's short, not small. "At the same time, we have to keep our chins up," Hall continues. "I'm also looking at personal heroes, people who help me stay positive." "Agnes Martin" synthesizes jazz, classical, and chamber music into a tonal homage to the abstract painter whose work Hall first experienced at the San Francisco Museum of Modern Art. "She has these subtle veils of color that pop out as you look at the canvas. Her paintings are all patterns and geometry, so the tune has this recurring part to reflect that," the drummer explains. With "Lane and Joanna," Hall honors two more personal muses with jazz that shimmers like instrumental pop: It's clear and clean and crisp but not sterile, and the music's pleasant surface quickly reveals more complicated structures; for example, as simultaneous layers of rhythm build and then fall out to make room for Sankovich's breathless and beautiful piano solo. It's up to you to figure out who your own personal Heroes, Saints and Clowns might be. Tracks: Uhuru Na Umoja; Ogun; Cosmic Peace; Universal Rhythm; Mystic Revelation of the Gods; Let Your Light Shine On; Space Dimensions; Tribes From the Unknown; Me Do Wo; Essence of the Sun; Love Power; Afro Black; Mystic Revelation of the Gods (Swahili Version) . Personnel: Luca Alemanno: bass, double bass; Bridgette Amofah: lead and backing vocals; Abdissa Assefa: congas, percussion; Carolina Bubbico: lead and backing vocals; Seby Burgio: organ; Tommaso Cappellato: drums; Nicola Conte: guitar; Theo Croker: trumpet; Magnus Lindgren: African flute, flute, tenor sax; Pietro Lussu: Fender Rhodes, organ, piano, electric piano, vocals, Wurlitzer; Nduduzo Makhathini: Fender Rhodes, electric piano; Tlale Makhene: congas, percussion; Teppo Mäkynen: drums, percussion; Zara McFarlane: lead and backing vocals; Zoe Modica: lead and backing vocals; Tumi Mogorossi: drums; Gianluca Petrella: mini moog, trombone; Logan Richardson: alto sax; Mike Rubini: baritone sax. Tracks: Roumanian Folk Dances 3: Standing Still; Roumanian Folk Dances 2: Peasant Costume; Roumanian Folk Dances 4: Stick Game; Mikrokosmos 149Six Dances in Bulgarian Rhythm II; Mikrokosmos 113-Bulgarian Rhythm I; Mikrokosmos 78-Five Tone Scale; An Evening in the Village -10 Easy Piano Pieces No. 5; The Young Bride-For Children Vol. 1 No. 17; Exiles; Tonk; The Talking Drum; Larks' Tongues in Aspic, Part Two; Starless. Personnel: Nelson Coelho: guitar, mellotron guitar; Gabriel Costa: bass guitar, vocals; Fred Barley: drums, vocals; David Cross: violin. 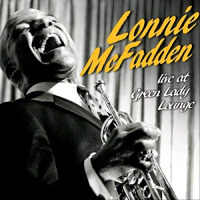 Tracks: Moten Swing; In the Club; Voyager; Our First Date; El Montecristo; Get Ready; In the Basement; What a Wonderful World; I Believe in Music; Swing Like Count Basie; Swing Like Count Basie Reprise; Tap 'n' the Blues. Tracks: Bananeira; Quero Alegria; Porque Somos Iguais; Batendo A Porta; Depois; Brother; La Mulata; Nega Dina; Doa A Quem Doer; Sessão Das Dez. Personnel: Emilio Santiago: vocals; João Donato: keyboards; Wilson das Neves: drums; Ivan "Mamão" Conti: drums; Paulhino: drums; Durval Ferreira: guitars; Carlos Roberto Rocha: guitars; Helio Delmiro: guitars; Ariovaldo: percussion; Orlandivo: percussion; Chacal: percussion; Danilo Caymmi: flute; Victor Assis Brasil: brass; Edson Maciel: brass; Jesse Sadoc: brass; Jamie and Nair: backing vocals; Lúcia Lins: backing vocals; Jurema: backing vocals; Marcio Lott: backing vocals. Tracks: Bugalú pa' mi Abuela (featuring El Callegueso); New York Rules (featuring Joe Bataan); You Know I'm No Good/Chica Mala Mambo; Ojalá-Inshallah; La Clave e'Mi Bugalú; Boogaloo Shoes; Mister Dizzy Izzy (featuring Flaco Navaja and Izzy Sanabria); Chain of Fools (featuring Snowboy); Coco Helado (featuring Rowan Ricardo Phillips); How Do You Know/Cómo Sabes. Personnel: Mariella Gonzalez: lead vocals, coro; Paloma Muñoz: lead vocals, coro; Matt Thomas: tenor sax, coro; Rafael Gomez: bass, acoustic guitar, cuatro, coro; Kenny Bruno: piano, organ, coro; Arei Sekiguchi: timbales, drumkit; Dylan Blanchard: congas, coro; Ronnie Roc: bongos, bells, coro; Teddy Acosta: timbales, percussion, coro; Vera "Trombonita" Kemper: trombone, bass trombone; Edwin "Machuco" Estremera: soneos, coro; Jonathan Goldman: trumpet, coro, wrangling; Manuel Garcia-Orozco: guitar, organ, vocals; John Speck: trombone; Morgan Price: baritone sax; Jonathan Flothow: baritone sax; Richie Robles: coro; Joe Bataan: vocals; Snowboy: congas; Flaco Navaja: vocals. Cameos: Charlie Goldman, Imogen Phillips Royo, Louis Price, Maia Gomez-Leal, El Callegueso, Izzy Sanabria, Rowan Ricardo Phillips. 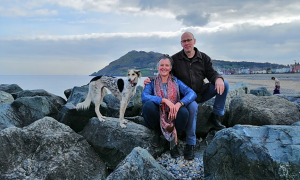 Tracks: Demographic Shift; Lane and Joanna; Heroes, Saints and Clowns; A Short Poem for a Shattered Age; Grattitude; Michael Shannon; Agnes Martin. Personnel: Paul Hanson: bassoon, tenor sax; John Gove: trombone; Dillon Vado: vibes; Greg Sankovich: piano, organ; Jeff Denson: electric bass, acoustic bass; Alan Hall: drums; Joseph Hebert: cello; Paul McCandless: oboe; "One Planet Drum Corps."